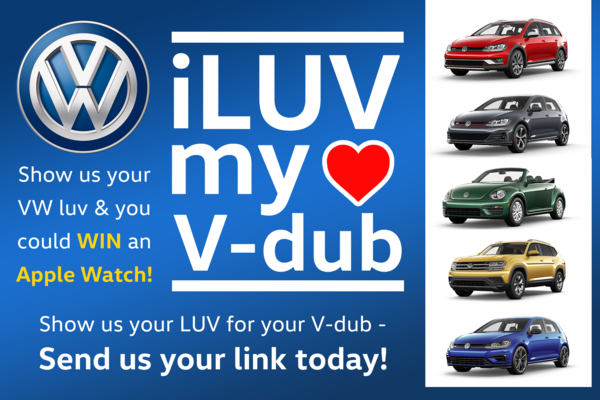 E-mail us a link to your video online of you showing you talking about why you love your V-dub. Maybe you're cruising around Wascana - or headed on a road trip to the Qu'Appelle Valley - or simply just in your drive way gushing about your ride. Your video must be a minimum 30 seconds - to a maximum of about a minute or so. Minimum 720p resolution - to a maximum of 1080p. Then, the winner will walk away with an Apple Watch (on your own carrier) or other Smart Watch of their choice up to $650 value.